The new TriloG 1500 provides intelligent design for the homeowner that wants maximum power and speed with superior design and the ultimate in conveniences to fit their busy lifestyle. 3/4 HPc * Power Plus 140 Volt DC motor provides power to operate almost any residential garage door. Maximum opening speed of 12.0 inches per second ** to provide the ultimate in fast performance. Delivers maximum lifting force and greater reliability. 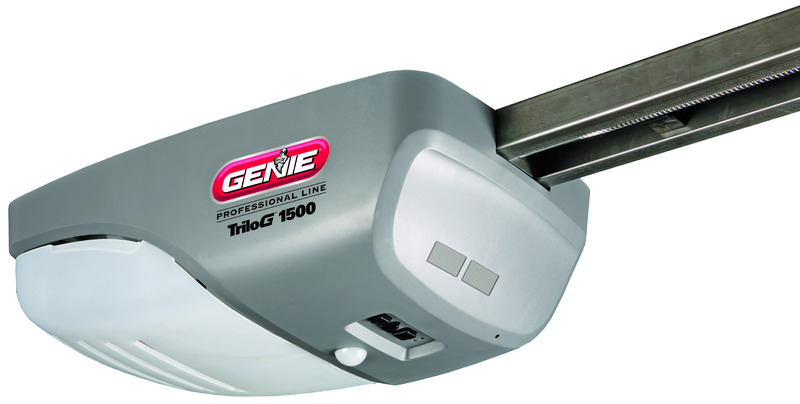 * 3/4 Horsepower Comparable (HPc) Power Plus designates that this garage door opener exceeds Genie’s lifting force specification for 3/4 horsepower garage door openers. ** +/- 0.5 inches per second. Speed will slow with one-piece doors.